Clean working environment, little stress level, and no special requirements on education or previous working experience–all of that attracts millions of job seekers to the position of an administrative assistant. But how to get this job in an interview? And what will happen on a big day? 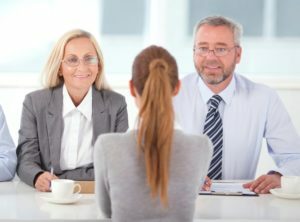 The interviewers (can be HR manager from the company, or an HR generalist, can be the CEO–in small business environment, can be external recruiter from the agency, or you can meet a few of them in the same room) will ask you some screening and some behavioral questions. You will have to demonstrate the value you can bring to their team, and that you have the right personality for this position, and good attitude to work. 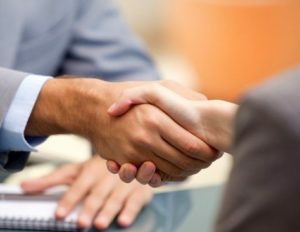 The interview process can consist in one, two, or three rounds of interviews, but in each case you will deal mostly with screening and behavioral questions, relevant for this position. Let’s have a look at the questions. Q. Why do you want to work as an administrative assistant? Q. What do you want to accomplish on this position ? Q. What are the main responsibilities of an administrative assistant, from your point of view? Q. This job is repetitive, and it can become boring. How do you plan to motivate yourself in work? Q. What software applications can you work with? Q. What characterize a good administrative assistant from your point of view? Q. What was the biggest mistake you made in your administrative work? Q. How do you handle multitasking? Q. Describe a conflict you had with your colleague. How did you solve the conflict? Not an easy question to start with. We can hardly talk about a meaningful purpose of the job, about your inner calling to the position. Such an answer will work well in teaching, or in social work interviews, but not in the interview for an office role. On the other hand, you should not say that you apply simply becasue you need money, because you have mortgage to pay, or kids to feed. Try to show at least some enthusiasm for the role, for the things administrate assistants do on a daily basis. You can say, for example, that you believe the job will help you to learn the ins and outs of business, that you see it as a springboard to your career in management or marketing. Or you can say that you really enjoy the things administrative assistants do on a daily basis, and prefer simple jobs, so you can leave the workplace each day with a clear mind, and focus on your life outside of work. Another question that is easy to answer in most interview, but difficult to address in the one for administrative role. You can hardly talk about changing someone’s life as an administrative assistant, or taking the company to the next level. It is just out of your reach, out of the scope of your duties, and possibilities, at least on this position. Nevertheless, you should still try to talk about some accomplishments, and ideally you should talk about them from a perspective of your employer (and not your own perspective). For example, you can say that you hope to help them to improve the efficiency of the entire office, or that you want to help create the best possible atmosphere in the workplace, with your attitude to colleagues and clients who visit the company. Alternatively you can focus on yourself (though I do not suggest you to follow this route), saying that you hope to learn a lot of things while holding the position, and that you hope to grow professionally in the company. Job description will help you greatly. Have a look at it, print it, and read the principal duties and responsibilities. You can just repeat them in your answer, and most interviewers will be happy with such an answer. 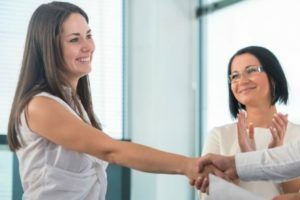 But you can actually list even more duties (from other job descriptions for office assistants, advertised by other companies and individuals), showing the interviewers that you actually plan to do more than expected from you, that you like to be busy in work, that you care for their results. Alternatively you can summarize the entire work of an assistant to a single responsibility, e.g. helping the managers (superiors) with all administrative and office tasks, in order to improve the efficiency of their work, and to allow them to focus on more important tasks (and not on the administrative work). Not an easy question, especially for people with a traditional mindset–people who believe that someone else (or something else) should motivate them in work. But the only true motivation (one that will not perish in a few hours, or in a few weeks at best) comes from within us. It comes from the goals we carry in our heart and mind, from the beliefs and values we follow. That is the only real driving force. What does it stand for in your life? Obviously you can say that you prefer repetitive jobs, that you do not like to think much in work. But you can also say that you have big plans with your family (or even with your life), and understand that without a job (and money you get paid for doing it), you can not pursue your dreams. There are several good answers to this question, and your choice depends on your values, and the expectations you have on your life and professional career. Many job seekers start to panic as soon as they hear this question. Obviously it doesn’t sound attractive to talk about our weaknesses, especially when we try to impress someone, and get the job in an interview. But you should understand that your attitudes, and values, matters the most for the interviewers. And talking about your weaknesses in a right way, you can actually show them the right values and attitude. Computer can be your best friend, or your worst enemy. It can make you more effective, and it can slow you down in work. But you should try to befriend it, and build a “strong relationship” with the machine, because unless you apply for an administrative assistant job in one of the least developed countries of our world, you will work with computer all day long. Make a list of software programs you can work with, and mention each of them in your interview. Tell us how long you have been working with the software, and how it has helped you in your past job (or in your studies), to work more effectively. You can even say that you plan to attend evening computer classes, to improve your skills, or to learn other programs that will help you in your job and life. Communication skills, responsibility, loyalty to the employer, typewriting skills, friendly personalty, attention to detail. You can add more things to the list, but remember that your interview presence should correspond with your answer to this question. You should present yourself as a good assistant. An interesting alternative lies in a result-driven approach. You can say that one can recognize a good assistant from the results of the office, from the effectiveness of the entire business, or from their work, from the profit the company makes each month. Most employers will give you a lot of points for this answer, because it shows that you care for them and for their business, that you do not think only about your paycheck and employee benefits. Everyone makes mistakes. And though it sounds strange to talk about them in a job interview, you can actually win your interviewers over with a good answer to this question. Multitasking is a challenge for everyone, especially becasue, technically speaking, our brain can not multitask. We can focus on one task at a time only–at least on the level of our consciousness. It doesn’t imply, however, that we can not do more things at a time. We actually can, becasue we do some things automatically, without a need to think about them, or focus on them (brushing teeth is a great example). Tell the interviewers that you try to work simultaneously on tasks you had to focus on, and tasks your hands take care of, without a need to get some guidance from your brain. Alternatively you can say that you excel in scheduling your work, and organizing your office, and focus on one task at a time only–the most important one, the one with the highest priority. This is a behavioral question–the interviewers inquire about your past. They do not want to hear what you would do in a conflict situation, or how you approach conflicts in general. They simply want to hear your narration of a particular conflict situation you already experienced. They want a story. Try to recall a conflict you had with someone, a conflict that you eventually managed to settle. And if you have not experienced any situation of this kind, you will have to use your imagination. The interviewers do not know your past, and most of them won’t be able to spot a lie in your answer to this particular question. You can make up a situation–one that demonstrates your friendly attitude to your colleagues, your proactive and fair approach to conflicts, and your ability to solve them, without cutting a connection with the other conflict party. Do not know how to create such an answer? You can find many of them in our Interview Success Package. Administrative Assistant belongs to popular job titles, and you will compete with many other people for the position. It is not easy to stand out in an interview, and different factors will decide who will get the job at the end of the hiring process. But you should focus mostly on things which you can control–your interview answers, your interview presence. If you want some help, if you want to have an unfair advantage in your interview and know something other job seekers will not know, you can have a look at our Interview Success Package. Great answers to all common interview questions (including the most difficult one) will help you to stand out, and get this job. Follow-up letter after the interview – Advice on how to write a good letter (or email), with sample letters attached. Understand the most important sections on your letter, and make a final push towards a new job contract.